Most anticipated event of the year celebrates extraordinary feats, and dispensed grace for more impact. Senior ministers from around the world at the International Pastors' and Partners' Conference 2018. At every session, men and women who have given their lives to the advancement of the Gospel in every nation under Heaven and through the ministry’s arms have been celebrated in grand style, in sync with the word of the month. The Conference kicked off on Monday, November 12th, with the Ministry Pastors’ and members of the deaconry from all over the world. Shortly after, partners from every continent under Heaven flooded the Murtala Muhammed Airport on Wednesday, November 15th, to commence the International Partners’ Conference on the following day. As a minister from the United States succinctly and prophetically described, this year’s IPPC was “a gathering of God’s end-time generals!” Every session of the Pastors’ Conference, where Pastor Chris shared on ‘the Power and Pursuit of Purpose’ was an outpouring of God’s Spirit, leading to some describing it as a reset or realignment of their inner spiritual workings. “Thank You for Making Our Dream a Reality,” Pastor Chris Says to Partners! The highly esteemed CEO, Pastor Deola Philips, giving her address. Both the International Pastors’ Conference and the International Partners’ Conference opened with an address from the BLW CEO, who read out the gallant achievements of the BLW Nation in the Year of the Supernatural and assured delegates of a glorious time, celebrating our riches! The man of God, Pastor Chris, sharing God's Word with the delegates. 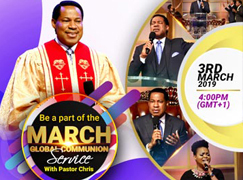 At every session, men and women who have given their lives to the advancement of the Gospel in every nation under Heaven and through the ministry’s arms have been celebrated in grand style, in sync with the word of the month. Through inspiring music and dance, LMAM artistes and members of the Creative Arts Academy have induced emotions of love, gratitude, joy, much more, in the global delegation. 17-year achievement realized in one year as partners distributed 1.2 billion copies of Rhapsody of Realities. At the beginning of ‘the Year of the Supernatural’, along with the prophetic word for the year, Pastor Chris declared through the Spirit that it would be 10 years in 1. Emphasizing God’s power to do exceedingly abundantly above all expectations, 1.2 billion copies of the #1 daily devotional, Rhapsody of Realities, were distributed in 2018, exceeding the ministry target of 1 billion copies. 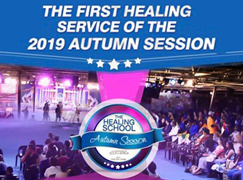 The significance of this is quite overwhelming when the past achievements of the most-translated book in the world, Rhapsody of Realities, is taken into consideration. Over the coursed of 17 years, a little over 1.3 billion copies of the devotional were distributed in every known and inhabited nation under Heaven; this was last year, 2017’s achievement. In this special ‘Year of the Supernatural’ almost all of the 17-year distribution was accomplished, fulfilling the scriptures that all the earth shall be filled with the knowledge of the glory of God. There are not many books in the world translated in over 1,000 languages. 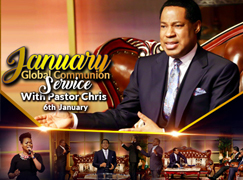 This phenomenal achievement, announced by the Director of the Rhapsody of Realities department, Pastor Yemisi Kudehinbu, during the IPPC 2018, was made possible by devoted followers of the BLW President, Reverend (Dr.) Chris Oyakhilome and is worth celebrating. The International Pastors’ Conference 2018 welcomed ministers from several nations and every continent on earth, and each one, over the course of 3 days beginning on Monday, November 12th, were inundated with supernatural grace. “There is an enabling grace at work in our ministry, that will not come to play until you identify with…BLW exceptionalism, BLW expansionism and BLW perfectionism,” the highly esteemed CEO, Pastor Deola Phillips, said as she expatiated on the 3-fold supernatural gifts of the BLW Nation. “Purpose is a driving force,” the BLW President says to thousands of IPPC delegates. Every year in the month of November, BLW citizens take stock, give thanks, celebrate God’s Word at work and step into the new ministry year with increased abilities and a divine elixir to outdo their past. This year’s International Pastors’ and Partners’ Conference was no different, yet it was uniquely spectacular, with a message that was sure to yield extraordinary testimonies in the lives of everyone that was present. 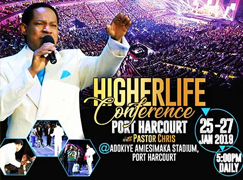 “Purpose is a driving force,” the man of God, Pastor Chris, said to the teeming population of ministers and financial partners with the BLW ministry, as he taught on a vital subject, ‘the Power and Pursuit of Purpose’. Further expounding, he said “your joy should be in the thing that the Father asked you to do,” inspiring delegates to live for God alone. LoveWorld Presidential Awards 2018 celebrates the supernatural impact of partnering individuals & churches. The LoveWorld Presidential Awards ceremony, closing event of the BLW ministry year, is one of the most anticipated events of the year, filled with glitz and pageantry, pomp and glory, as exquisitely arrayed delegates shines as stars in the firmament. The black-tie evening affair mimics the Great Day of the Lord where “every man shall receive His own reward!” LMAM artistes serenaded the congregation with songs to inspire them to do more for the Lord, reminding the delegates that the coming of the Lord is near. Every moment of the night was to be relished as most outstanding partners in the work of the ministry were recognized in grand style. Pastor Chris thanks top partners for their faith in the Gospel at Presidential Awards. 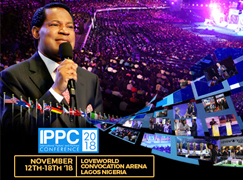 Referring to tens of thousands present at the LoveWorld Convocation Arena as “partners in God’s extraordinary plan for the world,” the BLW President, Reverend (Dr.) Chris Oyakhilome welcomed IPPC 2018 delegates to a celebration of [eternal] riches. 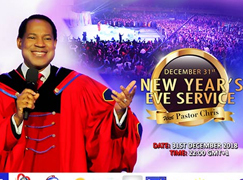 “Soul-winning is God’s number one job,” Pastor Chris reminded the multi-national congregation, as he thanked them for making the ministry’s dream for 2018 a reality. With several evangelical conferences, leaders’ training programs and more, the partners had joined hands with the man of God to fulfill God’s desire around the world, establishing in His words in the hearts of men. The words of the President flowed like soothing rivers of life into the hearts and minds of everyone present, inspiring in them a burning desire to do much more for the Lord in the coming year. Teens from Central Church Teens Church, Abuja Ministry Center, celebrate big win at LoveWorld Awards. The ’10-in-1’ blessing that characterized this special ‘Year of the Supernatural’ was displayed by the Teens Church of Christ Embassy Central Church, Abuja Ministry Center, winner of the Top Partnering Teens Church Award. A runner-up from Accra-Ghana Zone receives his plaque. The celebration of financial partnership with the Gospel was a ground-breaking accomplishment for winners, epitomizing Proverbs 22:6 and showing a glorious trajectory of their lives. The Teens Pastor was full of tears of joy upon receiving the award from the BLW President, Reverend (Dr.) Chris Oyakhilome. The Teens Church of the Central Youth Church and the FAA Teens Church, both from Accra-Ghana Zone, followed (in that order), were recognized in the same category. Congratulations to all Top Partnering Teens Churches. University of Hertfordshire makes supernatural entry into Top Partnering Campus Fellowships list. It was a night of many celebrations for the BLW Campus Ministry as the list of Top 10 campus fellowships was read with several new entrants and others who maintained their position at the forefront of the battle for the souls of men with their finances. First Runner-Up, Pastor Henry Akasili (BLW University of Benin). The fellowship at the University of Lagos, BLW Zone C (Pastor John Jubril) retained the #1 spot, close-marked by BLW University of Benin, Zone J (Pastor Henry Akasili) in the second place. However, a supernatural new entrant was welcomed into the Top 3 in third place — University of Hertfordshire, BLW UK Zone A (Pastor Airen Ekhosuehi). The positive competition between these young people to lead the charge in Gospel financing bears testament to the potency of the BLW message, transcending age and nationalities. Second runner-up, Pastor Airen Ekhosuehi (BLW University of Hertfordshire). Other new entrants to the Top 10 list included fellowships from the United States — Morgan State University (in eighth place) and Texas A&M University (in tenth place). Congratulations to all Top 10 campus fellowships! BLW UK Zone C leads BLW UK Zone A and BLW Zone J in triumphal parade as Top Partnering Campus Zones. The euphoria from the announcement of Top Partnering Campus Fellowships was yet to wear out when BLW Zone C (Pastor John Jubril), home of the #1 Partnering Campus Fellowship, was called as the Top Partnering Campus Zone throughout the BLW Nation. The jubilation from students throughout the zone was heard loudly throughout the LoveWorld Convocation Arena. BLW Zone C celebrating a supernatural win!. In her second supernatural accomplishment of the night, BLW UK Zone A (home to the #3 Top Partnering Campus Fellowship) was declared second runner-up in this highly coveted award segment. BLW Zone J (home of the #2 Top Partnering Fellowship) was also recognized by the President as #3 Top Partnering Campus Zone across the world. What a night it was as young people who have imbibed the BLW message in their youth celebrated their riches in Christ. Congratulations to the Top 10 Campus Zones! For second consecutive year, Christ Embassy LCA Church takes home Top Partnering Individual Church award. At last year’s International Pastors’ and Partners’ Conference, Christ Embassy LCA Church won the Top Partnering Individual Church during the Presidential Awards, less than a year after the church was inaugurated. Proving that their first win was not a fluke, the highly esteemed Zonal Director, Pastor Yemisi Kudehinbu, took to the stage last night to receive the same recognition. Christ Embassy Avenor at the LoveWorld Arena in Accra-Ghana, pastored by the highly esteemed Pastor Biodun Lawal, came in second place, followed by the Central Church 1 & 2 of Abuja Ministry Center (Reverend Tom Amenkhienan). Christ Embassy Lekki Church (Lagos Zone 5) and Christ Embassy Central Church 1 (Warri Ministry Center) also followed in fourth and fifth positions consecutively. Highly esteemed Reverend Tom Amenkhienan celebrates third position among Top Partnering Churches. Congratulations to the second consecutive reigning champion and all Top 10 Partnering Churches worldwide! Pastor Biodun and Lisa Lawal retained the number one spot as the Top LoveWorld Partners among Church Pastors and Directors across the global ministry. Their unflinching commitment to the advancement of the Gospel through partnership was recognized by the BLW President in an atmosphere of celebration. The highly esteemed Reverend Tom Amenkhienan celebrates #2 Top Partner position. The highly esteemed Director of the Abuja Ministry Center, Reverend Tom Amenkhienan, followed closely in second place, the announcement of this great accomplishment eliciting a loud ovation throughout the auditorium. Pastor Yemisi Kudehinbu makes supernatural entry into Top 3 Partners' list. In the third place was a new entrant into the Top 3 category, the highly esteemed Director of Rhapsody of Realities and the Lagos Virtual Zone, Pastor Yemisi Kudehinbu, who proved that it is indeed a green year, with the progress of 10 years packed into one. Congratulations to all Top 10 Pastors and Directors recognized in this special category. Supernatural take-over observed as Top 3 Individual Partners emerge as first-time entrants. First-Time Top Partners, Deacon Kingsley & Deaconess Ebierin Otuaro Celebrated. For their first time since appearing several years in the Top 10, His Excellency, Deacon Kingsley and Deaconess Ebierin Otuaro, came out in the top spot as the LoveWorld Nation’s Top Partners 2018. Their ardent commitment to the Gospel was celebrated by the entire Warri Ministry Center, as they were accompanied by the Director, Evang. (Dr.) Eddy Owase, to the stage. 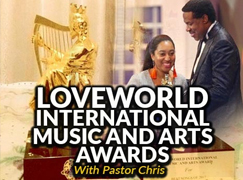 First runners-up celebrated at the LoveWorld Awards. The winners were followed by another set of new entrants into the Top 3 rankings, Deacon Benjamin and Sister Elizabeth Ulido from CE Ugbowo 1 in the Mid-West Zone. Yet another supernatural take-over was on display in the third position with Deacon Bamidele and Sister Tolulope Onalaja from CE Lekki, Lagos Zone 5. Second runners-up receive award from the President. It was a Deaconry affair as all top 3 positions were occupied by mighty men and women of Pastor Chris who minister to the Lord in such a capacity. Congratulations to all Top 10 Individual Partners! Pastor Deola Phillips cries tears of joy as Lagos Zone 5 emerges Top Partnering Zone for eighth year running. 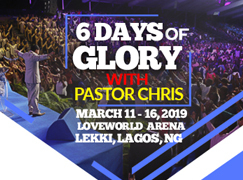 For the eight consecutive year, Christ Embassy Lagos Zone 5 clings on to a most coveted scepter of leadership as the LoveWorld Nation’s Top Partnering Zone. The suspenseful atmosphere built by esteemed announcer, Pastor T. T. Edun, broke at the announcement of the first runner-up, with many sure of the number one spot. 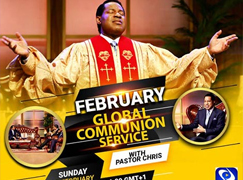 Christ Embassy Lagos Virtual Zone celebrates second consecutive win. The highly esteemed Director of Christ Embassy Lagos Zone 5, Pastor Deola Phillips, poured out tears of gratitude and overwhelming joy in the company of exuberant leaders and Pastors from the zone. Prior to announcing this capstone award of the night, the second runner-up was revealed at Christ Embassy Lagos Virtual Zone (Pastor Yemisi Kudehinbu) for the second consecutive year. Abuja Ministry Center takes third place among Top Partnering Zones. Christ Embassy Abuja Ministry Center, championed by the highly esteemed Reverend Tom Amenkhienan, overtook another zone for the third place Top Partnering Zone, making it a night of many surprises. Congratulations to all Top 10 Partnering Zones across the LoveWorld Nation.